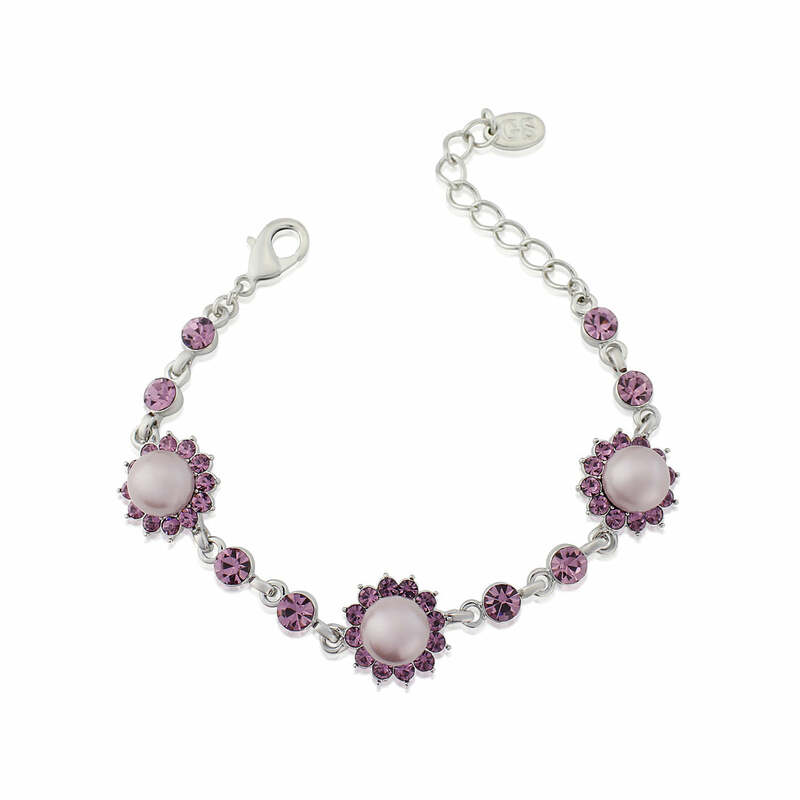 Full of retro charm, our Haze of Amethyst jewellery set features shimmering mauve pearl earrings, bracelet and pendant - the perfect accessories for a lilac wedding theme. 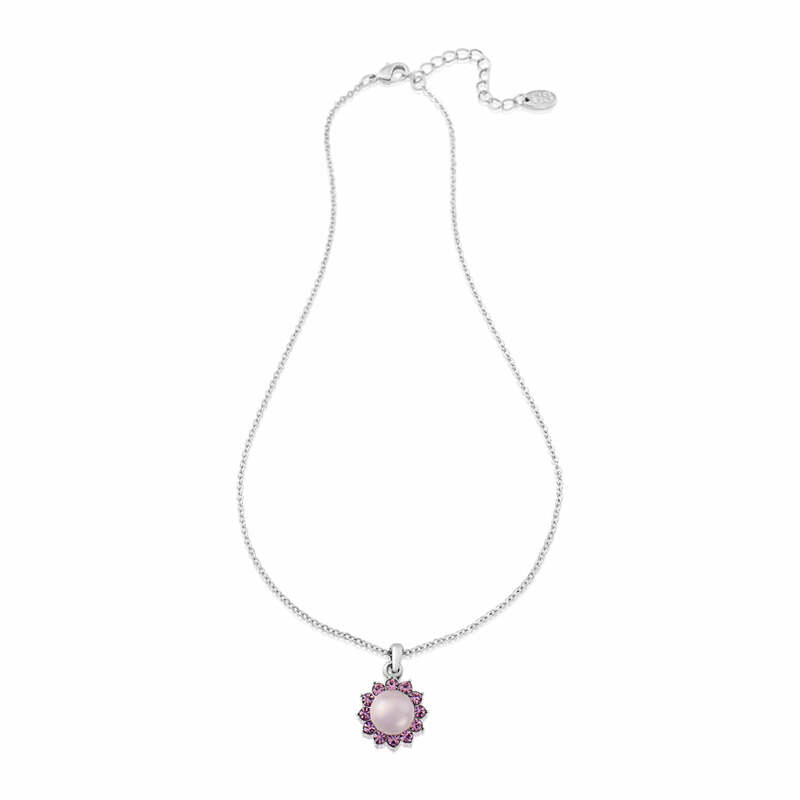 The romantic soft hues of our Haze of Amethyst Jewellery Set are just divine. 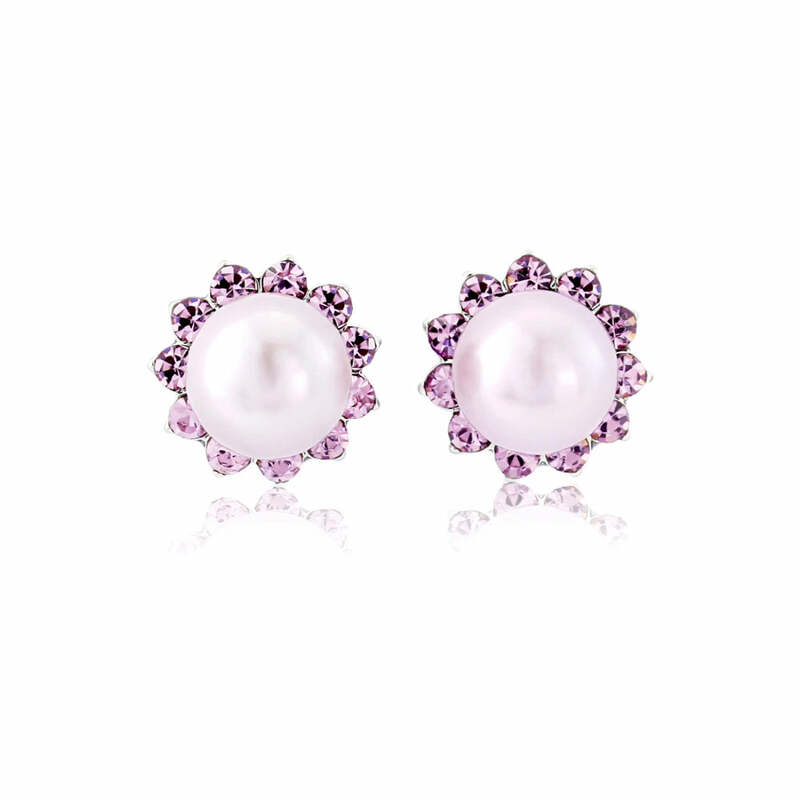 Featuring coordinating mauve pearl earrings, a bracelet and pendant accentuated with pale amethyst Austrian crystals, this divine collection beautifully captures 1950s retro style. Just perfect to add a hint of colour to a cute dress. If you are having a purple or lilac wedding theme, this beautiful bridesmaid jewellery set will effortlessly enhance your colours. Whether your bridal party is wearing berry-hued dresses or holding a bouquet of mauve blooms, accessories in similar tones instantly creates a striking style. 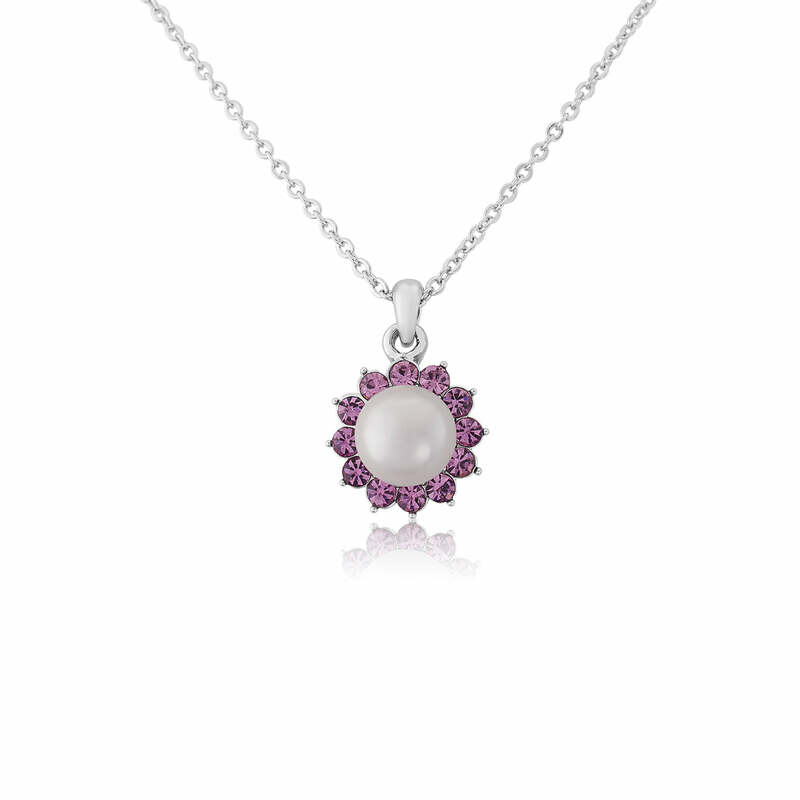 With such mesmerising colours, Haze of Amethyst is an exquisite mauve pearl jewellery set to give as a gift to someone who adores vintage gems and shades of purple.